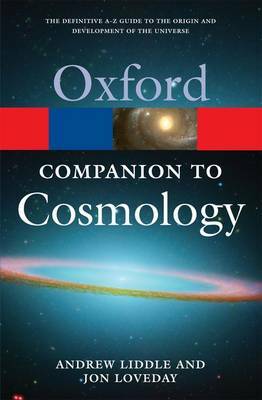 The Oxford Companion to Cosmology is a comprehensive but accessible encyclopedic overview of this enduringly popular subject. With over 350 in-depth entries - ranging from cosmic inflation and dark energy to Higgs boson and neutrinos - it both illuminates the ideas behind the current understanding of the Universe and outlines the fundamental physics from which those ideas emerge. Subjects covered include the structure of the Universe - its rate of expansion and the particles out of which it is composed - the evolution of galaxies, galaxy clusters, and cold dark matter. It encompasses both theoretical ideas such as alternative cosmologies and the various types of observational evidence, including redshift surveys and cosmic microwave background radiation. It appears at a time when there is a growing consensus about the origins and development of the Universe, centred around the hot Big Bang and the emerging Standard Cosmological Model, and an introductory overview brings the reader up to date on current thinking. Written by established experts in theoretical and observational cosmology, the Companion is an invaluable reference resource for students, teachers, science writers, and anyone with a serious interest in cosmology. Extensive cross-referencing allows the reader to unravel the ideas behind the terminology, and over 170 illustrations bring the subject to life. An index offers an alternative way of exploring the topics covered, and recommended entry-level web links provide a source of valuable extra information.